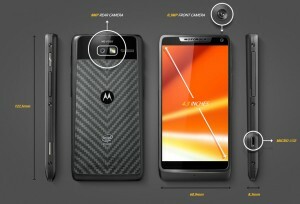 Motorola has announced a new smartphone to add to its growing lineup. The Motorola Razr i is an Intel Atom powered phone, and the first product of the partnership between Motorola and Intel. Intel may dominate the PC and laptop sectors with its range of processors built for these specific hardware but when it comes to the mobile device segment of the market – which is exploding like crazy – it has not been able to gain much of a headway. For this segment of the market, ARM processors are the acknowledged king.